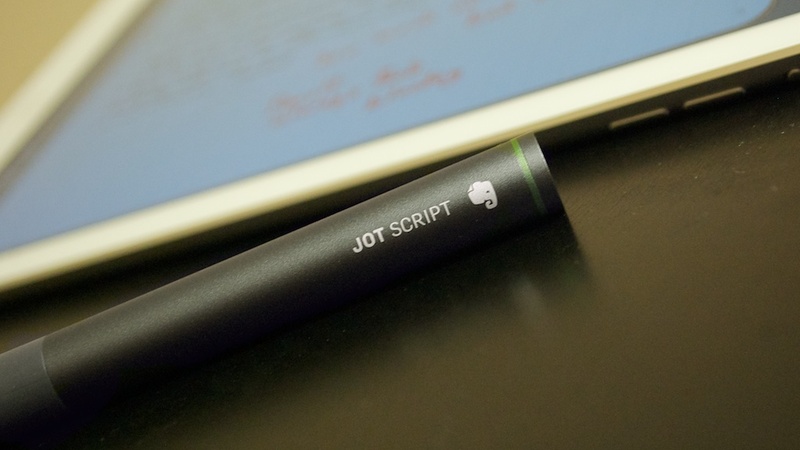 The Jot Script is the joint effort between Adonit and Evernote to create the ultimate pen for Penultimate. 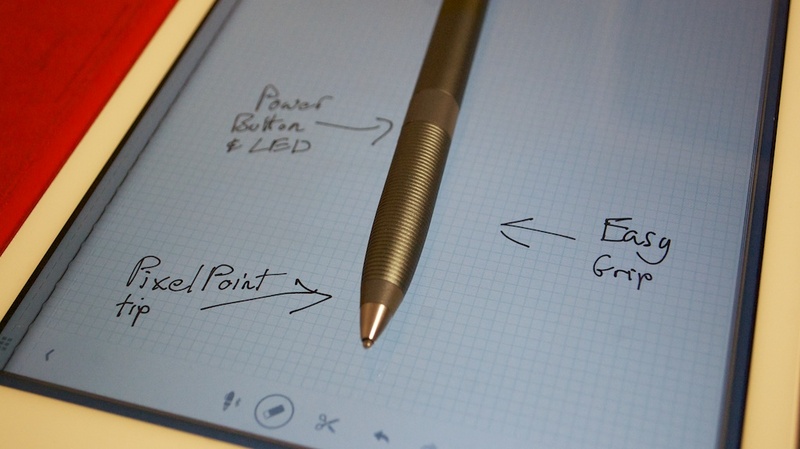 The Script offers two major advantages over most other styli: the PixelPoint tip and Bluetooth connectivity. The PixelPoint tip makes it much easier to see where your strokes will end up on the iPad’s screen. Other styli make this a bit of a guessing game with large foam or rubber tips that require varying amounts of pressure, but the Script is a stylus that anyone can use right off the bat, without any major learning curve. The Bluetooth connection allows Script-compatible apps (e.g. Penultimate or Noteshelf) to more accurately track where the stylus tip is, as well as help to ignore any other contact points on the screen (a.k.a. palm rejection). The Script is powered by a single AAA battery, and the stylus won’t even be registered by the iPad unless you turn it on. There isn’t very much setup involved in using the Script with Penultimate. I turned off multitasking gestures on my iPad, activated the palm-rejection setting in Penultimate, set it to the wrist position that most resembled mine, and started putting stylus to screen. I spent two weeks using the app at work and at home for notes and little design ideas. Here’s the cool part: the Script is quite accurate within Penultimate. The ink displays right under where the tip makes contact with the screen, which is an impressive accomplishment, and helps build the illusion of the stylus as a real pen. Penultimate also does a great job of recognizing my handwriting, and makes it searchable within the app, and within the Evernote suite of apps across all platforms. There’s no question that Penultimate lays a great foundation for a digital notebook concept. However, even with the Script, Penultimate’s ink comes out a little too thick and clumsy at the default zoom level. As such, I made liberal use of the new drift mode within the app. This feature simultaneously zooms in on the page and pans in the direction that I’m writing in. The idea is to allow me to keep my hand in place and just write, without having to re-adjust my wrist whenever I reach the end of a line. When drift mode pans perfectly, it’s an absolutely beautiful feature. It’s positively magical. However, for the intermittent times that it fails, it fails hard. As enchanting as drift mode can be, the resulting frustration from the issues can really break the spell. The Script and Penultimate can work reliably enough at a desk when I have time to sit down and write casually, but I wouldn’t use the Script at a meeting. I have a feeling I’d end up missing too many strokes and lose time by backtracking and making corrections. There are really only a handful of Script-compatible apps at the moment, and I did most of my testing in Noteshelf. Noteshelf works quite well on its own and I actually prefer its inking engine over Penultimate’s, but the Script integration just isn’t up to snuff. The ink is consistently off-center, ending up half an inch to the right of where the tip actually lands. However, this isn’t just Noteshelf’s issue. Paper also detected the Script’s tip as landing half an inch to the right of where it landed. This is certainly something you can get used to with a bit of time, however I think it’s something that you shouldn’t have to adjust for in a $75 premium stylus. The marketing behind the Script touts its accuracy, so it’s disappointing to see that the pen’s performance can be so skewed in apps other than Penultimate. Penultimate and the Jot Script feel achingly close to what I want from a tablet note-taking environment, but the harmony between software and hardware isn’t 100% there. The combo is good enough for those who want to sit at a cafe and write without rushing, but I wouldn’t rely on the Script in a work environment due to those instances where it simply loses touch with the iPad. It’s probably because the Script looks and feels so much like a pen that it can be so frustrating to be reminded that it isn’t. Disclosure: This accessory was provided by Adonit for the review. For further information regarding our site’s review policies, please see the “About” page. I am an avid, passionate fanatic of Evernote and I desperately wanted this to work. However, I purchased, thoroughly tested and quickly returned the pen: The dropped strokes were unforgivable. I created 20+ pages of my handwriting using Penultimate and it would intermittently drop strokes and entire words- no matter how fast or slow I wrote. The pen (as a bluetooth device for palm rejection) is virtually useless in any other app, so don’t go thinking that you can use it in ‘Paper’ ‘SketchBook’ or any other drawing App. 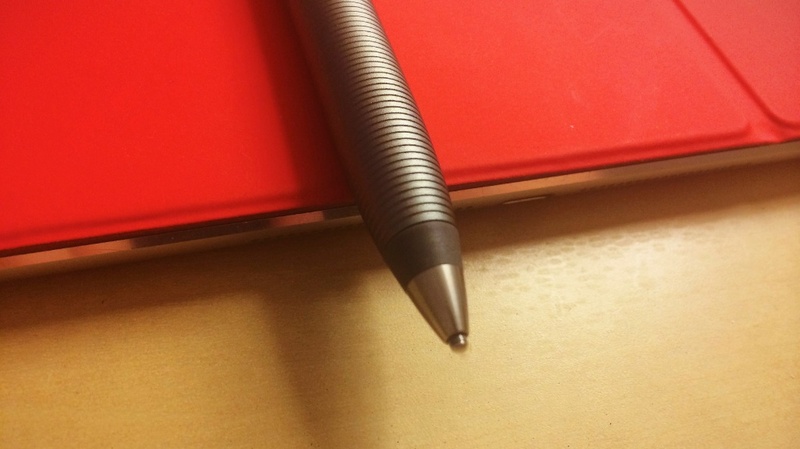 In my testing I would write pages of paragraphs using the Jot Script and the same with the FREE stylus that came with my $19 Chinese made iPad case and the ‘dumb’ stylus never, ever dropped a word, character, jot or tittle. I told customer service at Evernote that they truly did their fine brand a disservice by putting their weight & marketing behind this product because its just terrible. Try the Script with GoodNotes app and you will see the real power of it. GoodNotes works much better with the Script than any other app. I bought all compatible apps and GN is the one tha standed out from the others. When using Noteshelf, its better to use in Landscape mode. Its perfect this way.